As Erin Tolley shows, overt racism rarely occurs on the pages of Canadian newspapers, but assumptions about race and diversity often influence media coverage. 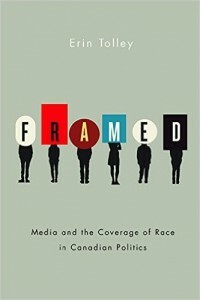 Consequently, as reporters go about selecting which political issues and events to cover, who to quote, and how to frame stories to make them resonate with the public, they give visible minorities less prominent and more negative media coverage than their white counterparts. Further, visible minority politicians are more likely to be portrayed as products of their socio-demographic backgrounds, as uninterested in pressing policy issues, and as less electorally viable. The resulting news coverage weakens Canada’s commitment to a robust, inclusive democracy.